Over the course of the next two weeks, on consecutive Fridays, Netflix is set to release two of my most anticipated movies of 2018. First up is The Raid mastermind Gareth Evans’ old-timey cult saga, Apostle. 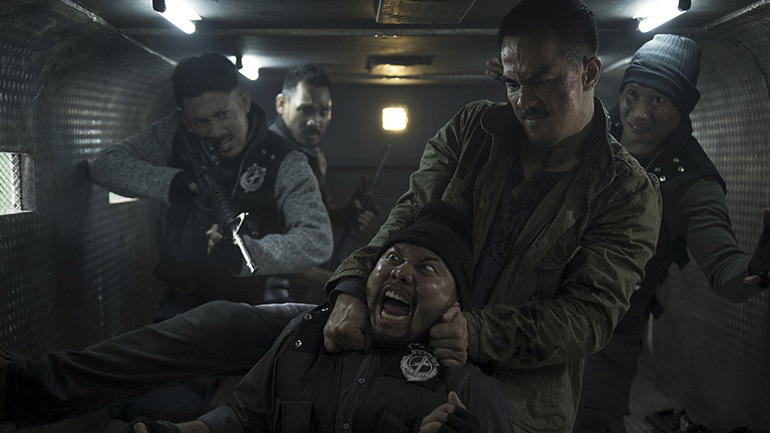 Following hot on that film’s heels comes Timo Tjahjanto’s brutal gangland yarn The Night Comes for Us, which just dropped a new trailer to make action fans salivate. It also happens to prominently feature key pieces of The Raid franchise in Joe Taslim, Iko Uwais, and Julie Estelle. Watch it and get psyched. Timo Tjahjanto has a history with horror (his new horror movie May the Devil Take You also premiered the same night as The Night Comes for Us), but his biggest international splash was as co-director (with Kimo Stamboel as the Mo Brothers) of the Iko Uwais-starring Headshot, which may be the angriest action movie I’ve ever seen. It also puts his horror chops to good use—it’s mean and nasty and vicious all over. The Night Comes for Us drops on October 19, so you have just over a week to prepare yourself for the imminent pummeling.